This week, a [reply] to the new [dinosaur tree] from March was published. You might recall that the March paper found a new set of relationships for dinosaurs. Ornithischians and theropods were found as closest relatives, forming the group Ornithoscelida, and sauropods and a group of early dinosaurs formed another group. Evolutionary tree of dinosaurs published in March. Made by me. The reply paper itself is only 1 page long. The authors looked at all of the characters used in the March analysis and rewrote them based on their own examination of the fossils. They also added a few more dinosaurs that were in important places in the tree. 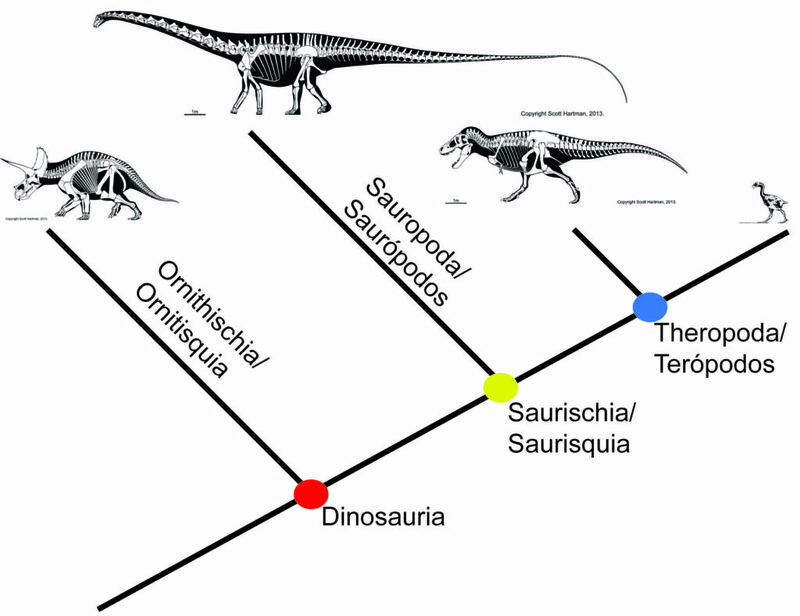 Evolutionary tree of dinosaurs given by this new analysis. Made by me. The authors ran their updated characters in a new evolutionary relationship analysis. The analysis gave them the standard evolutionary tree for dinosaurs. Theropods and sauropods are closest relatives, forming the saurischians, and ornithiscians are their own group. You might think – ok, problem solved! But in fact, the authors ran a statistical analysis on their tree to see how many changes would need to be made to find the March tree. This analysis shows that only a few would have to be made to get from their tree to the March tree. This means that the trees are not very different, statistically speaking. Another possibility. Made by me. 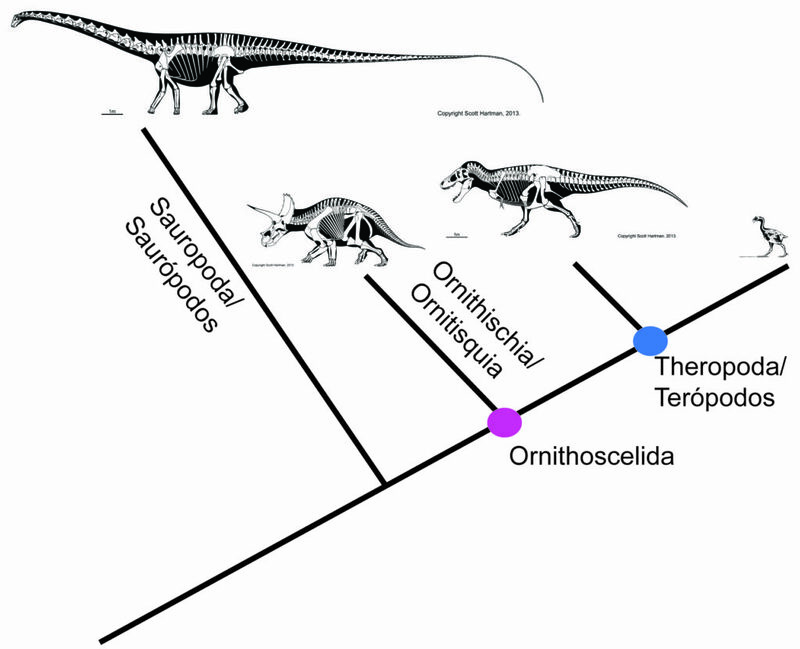 The authors also found that another tree is almost equally possible – one where sauropods and ornithischians are closest relatives and the theropods are their own group! WOW! What we know for sure is that early dinosaurs from each group looked very alike and so working out how they are all related to each other is going to take more research. This entry was posted in English and tagged Dinosaur evolutionary tree. Bookmark the permalink.